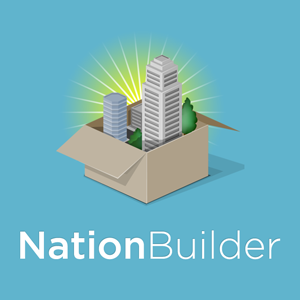 Over the past couple of months, I’ve been increasingly enthused by a new-ish product on the web, NationBuilder. I’ve been using it to help my brother, David Levitt, and his campaign for US Senate (side-note: if you’ve not already, I really encourage you to stop reading this and see what David is up to. He’s a Progressive Democrat & a technologist, not a professional politician, going after the billionaire incumbent, Dianne Feinstein, on a shoe-string budget + a sense of what’s right. I really must spend more time writing about him). It’s a really powerful system for anyone trying to organize online communities. While its target users are organizers of political campaigns, it’s applicability is much broader. In their own words, “Whether you are a non-profit, political candidate, speaker, indie filmmaker, or destined for greatness, if you want to really have an impact, you need to build a nation.” They’re right. In case you’re wondering why my opinion matters, I should step back and call out why I believe my endorsement of NationBuilder is uniquely valid and worth your consideration. By day (and the occasional sleepless night), I’m a Web Product Manager for O’Reilly Media‘s Events Division. I love managing the system we use to power our conferences, Expectnation. It’s a Ruby on Rails application in support of several types of users, both public-facing, end-users (i.e. attendees, proposal submitters, speakers, etc) and administrative, internal users (i.e. event organizers, program chairs, marketers, etc). The system has features supporting each of these roles. It has web publishing and reporting features that a can be customized with the Liquid Templating language commonly used with Rails apps. The reusable Liquid templates come with light, built-in version control features. Expectnation has messaging features to communicate with granular segments of an audience. There’s some decent activity monitoring and even a light-weight social network. I can keep going, but I’ll stop there. It’s a pretty killer app, and it brings a lot of satisfaction to me, my employer, an our customers. Why am I telling you all this? Because NationBuilder does all this better, and more! That’s right; it’s my job to manage a system very comparable to NationBuilder, and I’d kill for it to have some of the features that the team at 3dna have so thoughtfully baked in. I have no idea what the technology stack behind MoveOn.org is, but I bet even they’d do anything for features comparable to those of NationBuilder. (That is, if they weren’t already 14 years down the path they’re on). If you’re curious about how it compares to others systems more familiar to you, they do a good job at honestly spelling how “How is NationBuilder different?” from other CMS or CRMs like WordPress, Drupal, Ning, Salesforce, and several others. A great product to me is one that’s clear to immediately sprint with before reading any documentation and still offers detailed docs for the inevitably stumped situation. (I guess I want to have my cake and eat it too) Nationbuilder effectively does both. Although too feature-rich for the admin UI to be something I’d call elegant, it’s sufficiently designed such that I feel I’ve been using it for longer than I have. Admittedly a lazy reader, I was delighted to see that they’ve produced a screencast for just about every feature-set of the system. Anyone with some experience in Content Management and Web Publishing should quickly glean how to get started without referring to the doc, but it’s so helpful that it’s there when you need it. When good doc and simple features aren’t enough, in true Software Industry style, the NationBuilder team is eating their own dog food. That is, they use the product to power NationBuilder.com and take advantage of the platforms native features to field questions and accept feature suggestions from the community. Chief Organizer Adriel Hampton and his team are often working hard to assemble this community in real-time regulrly in their webinars and swift support via email and social media. What Kind of Review is this? I have no personal ties with anyone from 3dna. The only professional tie I have with them is that I work for a campagin that’s a paying customer. I think it’s truly a great product, one that I rather enjoy using. I guess this is more of a recommendation than a review. I should dedicate future posts to NB’s Events feature which integrates so nicely with Facebook, their use of Turf Cut and Google Maps to geographically target users visually, their support for SASS (not to be confused with SaaS, which NationBuilder is by default, but can be user-hosted optionally) allowing CSS to be what you’ve always wanted, and their fundraising features helping organizers raise fund, set goals, and track performance. Thanks, NationBuilder team, for not making me think too hard. You guys clearly did a lot of that for us. ← Goodbye, Bank. Hello, Credit Union.